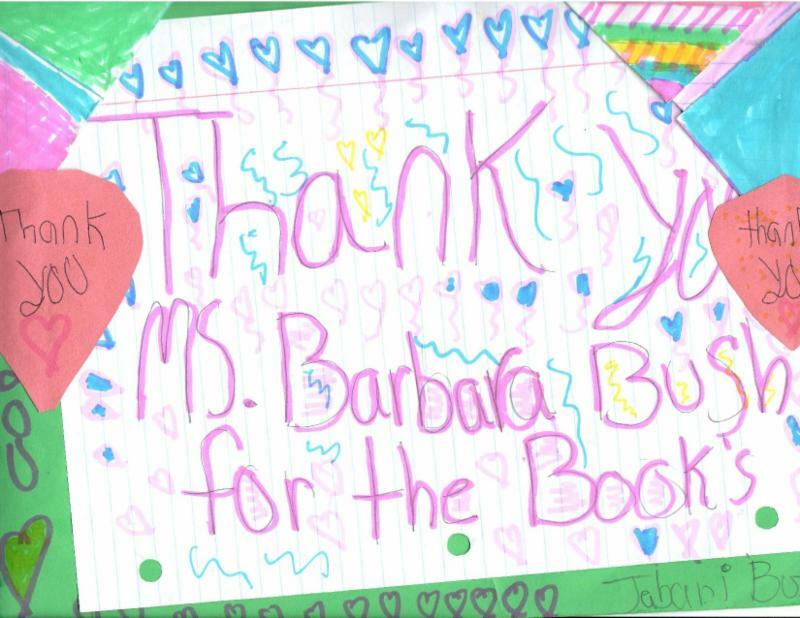 Nearly 30 years ago Barbara Bush began her quest using the platform of First Lady of the United States to raise awareness of the literacy crisis facing our nation and to advocate for improved coordination and expansion programs and services to help more people learn how to read, write and comprehend. 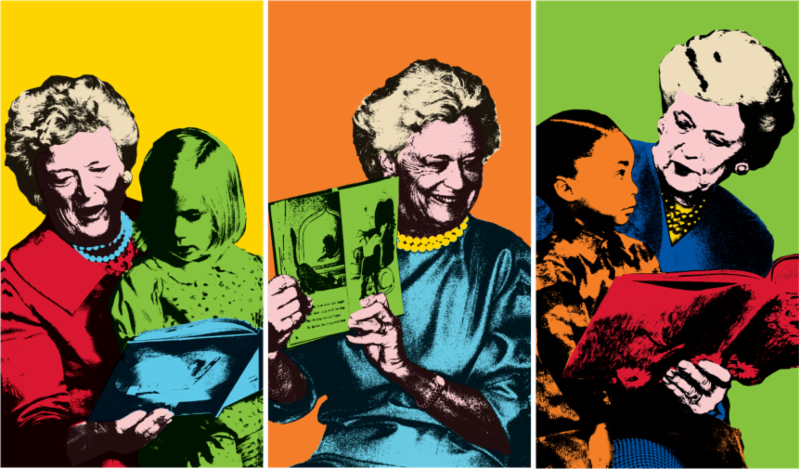 She worked tirelessly and passionately to advance the literacy cause. 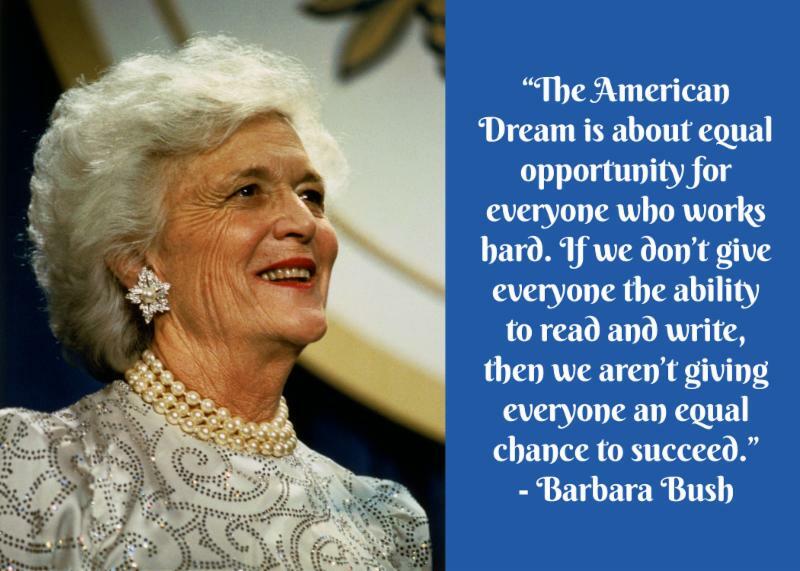 Fondly known as the First Lady of Literacy, Mrs. Bush was relentless in her pursuit of giving everyone an equal opportunity to live the American Dream by learning how to read. 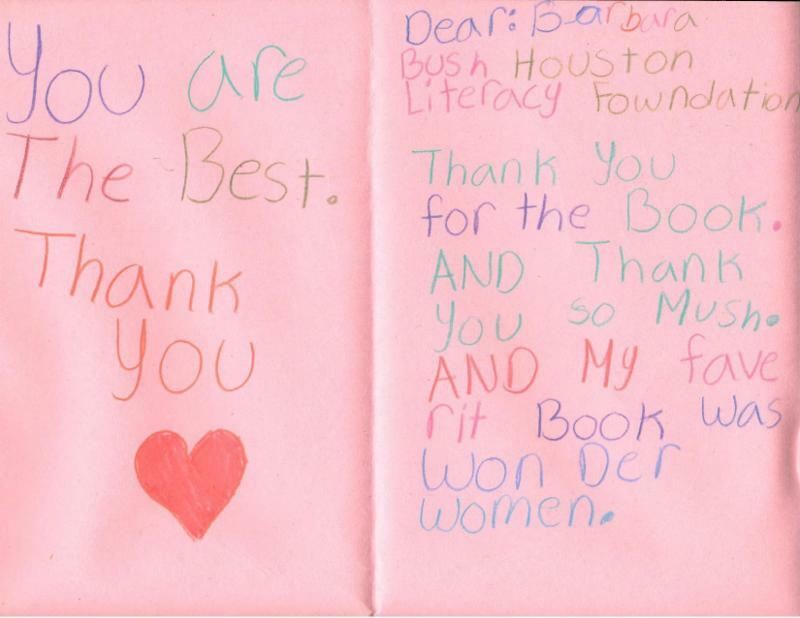 Her vision of literacy for all continues to be advanced through the Barbara Bush Houston Literacy Foundation. Forward this newsletter to family members, colleagues and friends and encourage them to subscribe. Join our Young Professionals Group or Ladies for Literacy Guild. Volunteer for an upcoming event or program. 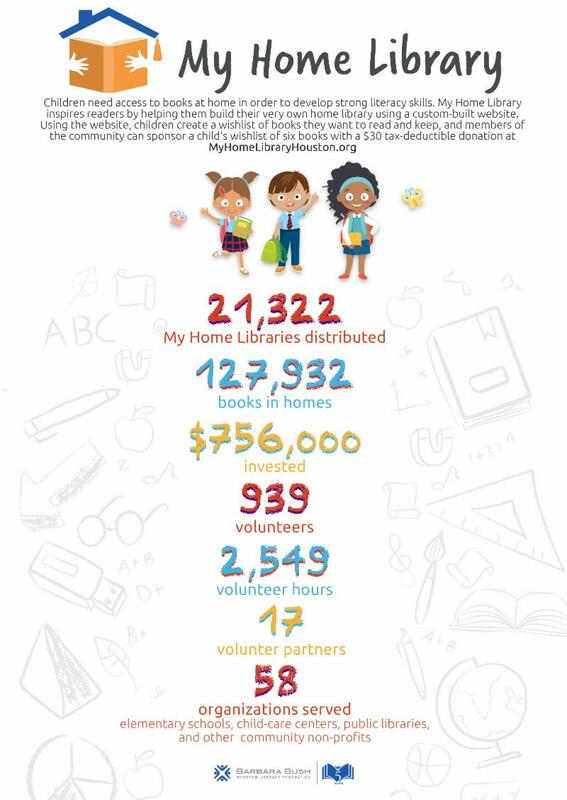 Sponsor a home library for a child in need. We are excited to announce that Dollar General Literacy Foundation has awarded us a $100,000 grant to help Houston children impacted by Hurricane Harvey continue to rebuild their home libraries through our My Home Library program. That means we can provide over 3,250 students with six brand new books of their choice! 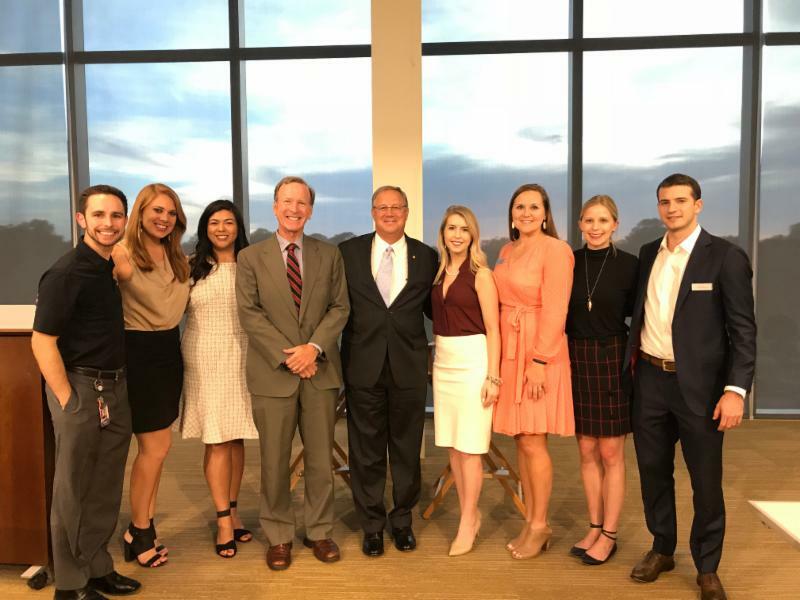 Last month, members of our Young Professionals Group and the Phillips 66 New Hire Network participated in a special event at the company’s headquarters featuring a lively fireside chat with Greg Garland, Phillips 66 Chairman & CEO, and our co-founder, Neil Bush. 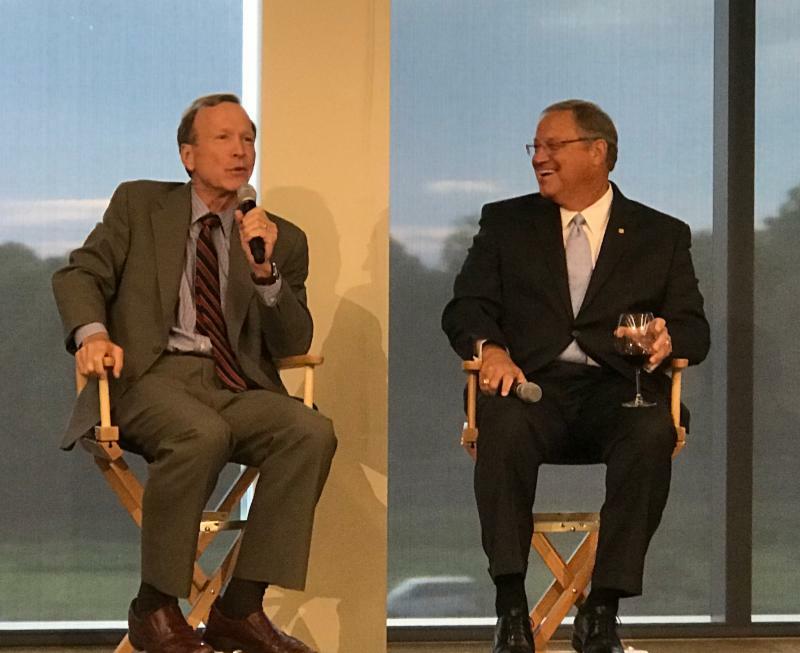 The powerhouse duo discussed their career paths – successes and failures, provided advice and inspiration to the young leaders and shared how leading a life of service to others is important for personal and professional success. Attendees had an opportunity to ask questions and network with peers. We are grateful to Greg Garland and his team for serving as gracious hosts and for giving of his time and talent to members of our Young Professionals Group. We encourage you to join our Young Professionals Group. 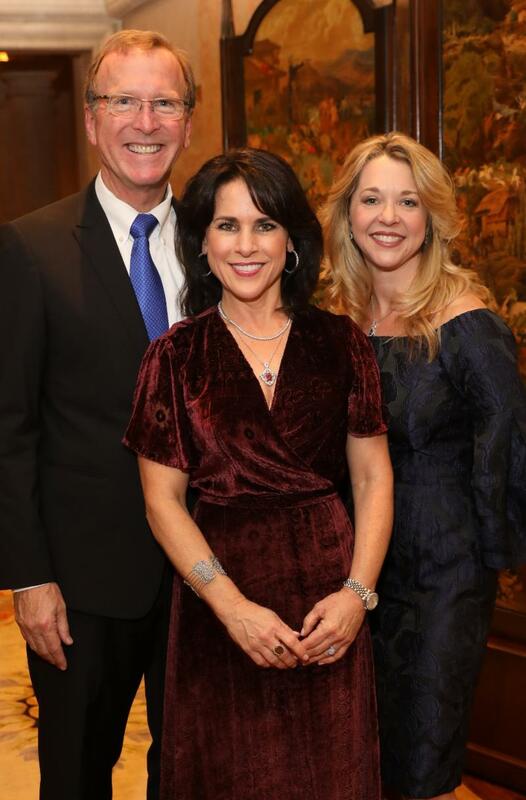 It is a great way to engage in volunteer opportunities that make a difference in the lives of children, network with peers across a wide range of sectors and access some of Houston’s top executives through special events hosted quarterly. 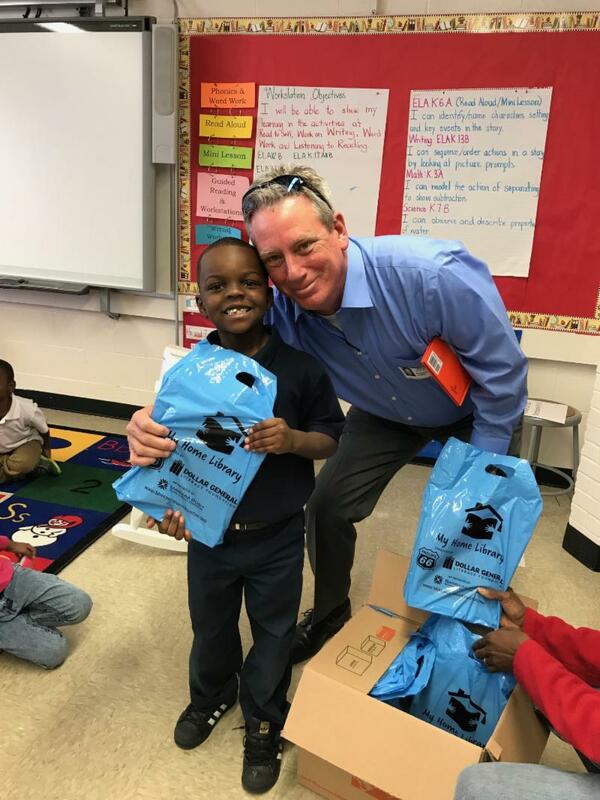 Students at Jefferson Elementary School returned to school to a big surprise – lockers painted like books—courtesy of our Young Professionals Group. Members of the group volunteered a Saturday morning painting lockers as Cat in the Hat, Goodnight Mood, Clifford, Harry Potter, and other favorite books. This is just one step towards creating a culture of reading in the school. 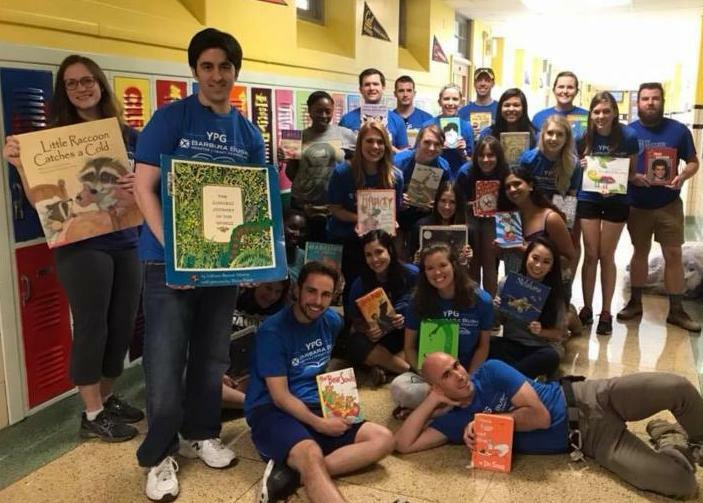 Members of our YPG will be implementing a small-group, reading mentoring program at Jefferson Elementary School to help more children in the school read at or above grade level and inspire them to increase independent reading time. In addition, the YPG will be sponsoring home libraries for every child in the school through our My Home Library program. We are so proud of our YPG for demonstrating the power of service to others! 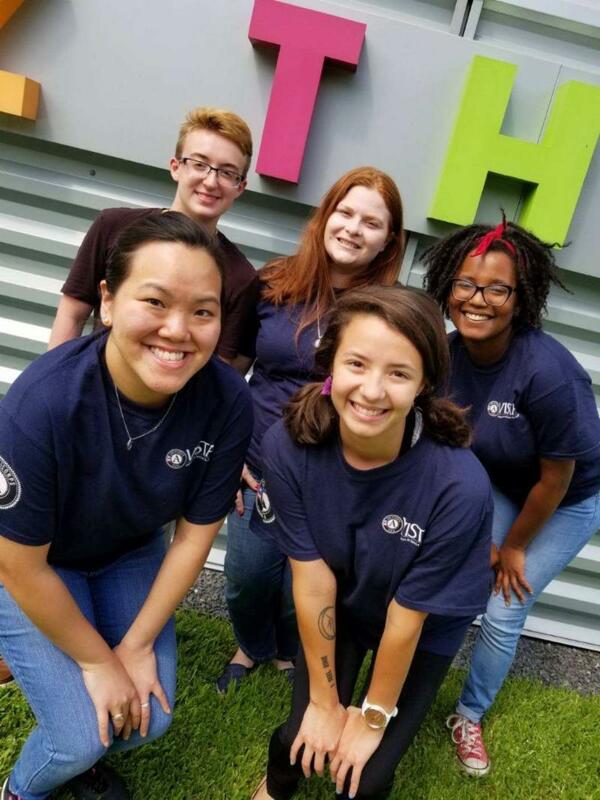 During this summer’s Camp Adventure, AmeriCorps Associate VISTAs (Volunteers in Service to America) served as instructors and mentors to ensure campers had a fun, engaging, and educational experience. The five Associates VISTAs assisted with daily summer camp operations like enrollment and registration, curriculum kit creation, meals and camp material administration, as well as mentoring, instruction, and supervision. 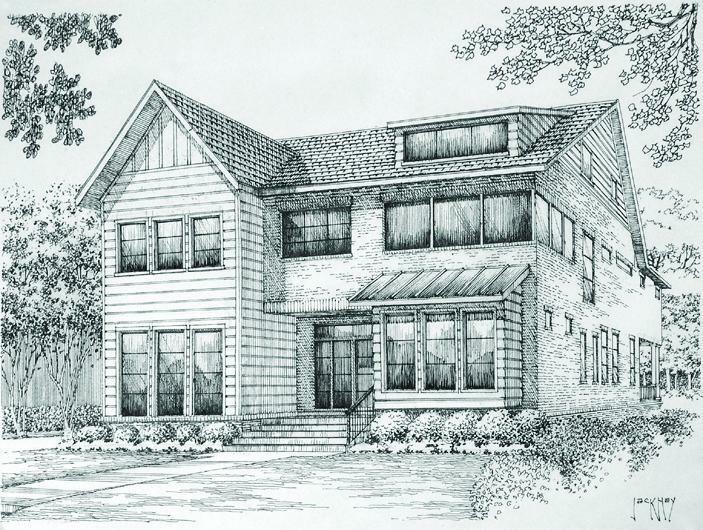 The Foundation is seeking volunteers to support the Stone Acorn Builders Southern Living "Beyond the Storm" Showcase Home Event. Volunteers shifts are two hours in duration and held all six days of the event. 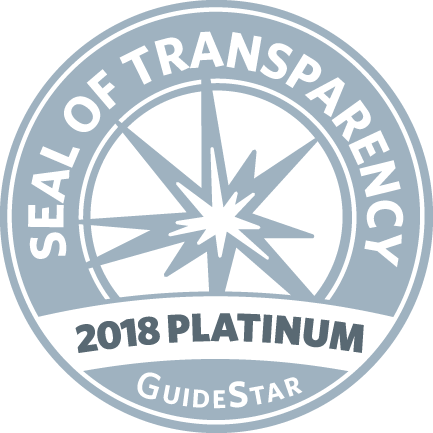 Duties may include handing out programs, greeting attendees, serving as a docent for a designated location in the home, or playing another important role. ﻿Proceeds from the event benefit the Foundation. 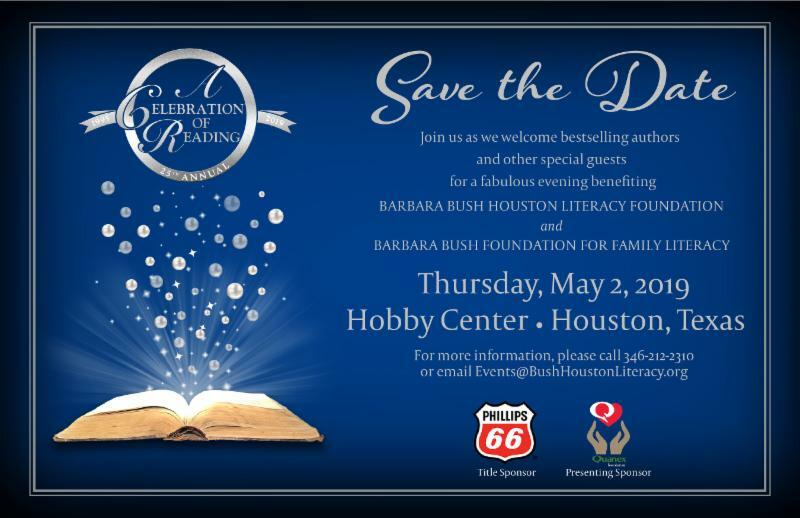 Each year the Barbara Bush Houston Literacy Foundation’s Ladies for Literacy Guild hosts the Power of Literacy Luncheon, an event that places a spotlight on Houston’s literacy crisis and the impact low literacy has on individuals, families, and our community. The event features a notable keynote speaker who offers his/her insights and expertise to add value to the literacy efforts locally. The proceeds support community-based literacy programs selected by the Ladies for Literacy Guild in alignment with the Foundation’s mission.